I've been writing about privacy in libraries for a while now, and I get a bit down sometimes because progress is so slow. I've come to realize that part of the problem is that the issues are sometimes really complex and technical; people just don't believe that the web works the way it does, violating user privacy at every opportunity. 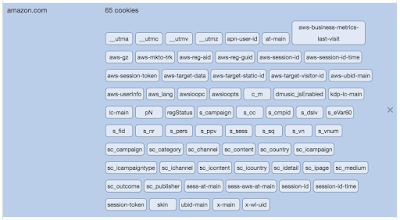 the provider sets tracking cookies on the hostname serving the content. the provider collects personal information, for example as part of commerce. For example, covers served by Amazon send a bonanza of actionable intelligence to Amazon. Here's how to tell if your library is sending Amazon your library search data. 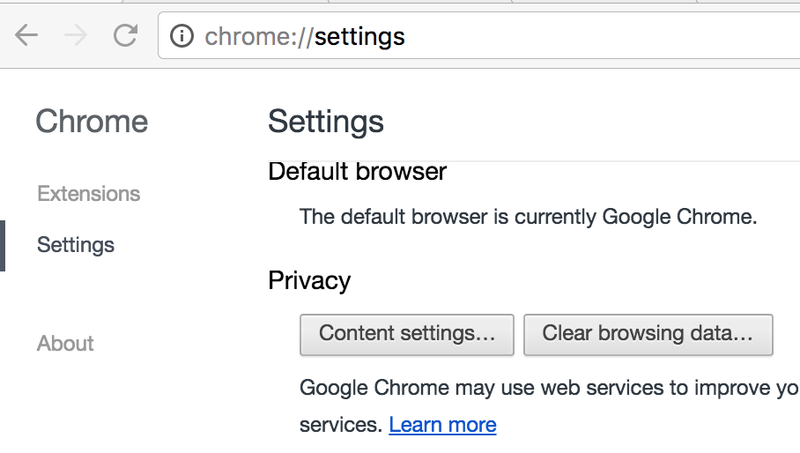 You'll need a web browser equipped with developer tools; I use Chrome. Firefox should work, too. Log into Amazon.com. They will give you a tracking cookie that identifies you. If you buy something, they'll have your credit card number, your physical and electronic addresses, records about the stuff you buy, and a big chunk of your web browsing history on websites that offer affiliate linking. These cookies are used to optimize the advertisements you're shown around the web. Click the "Content settings.." button. 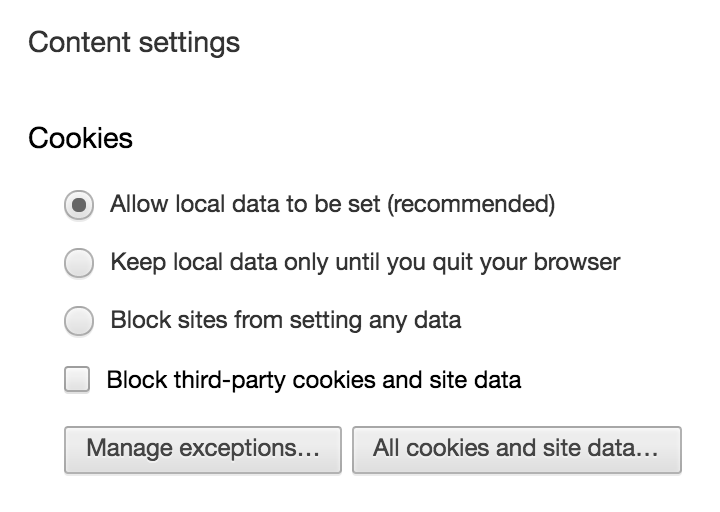 Now click the "All cookies and site data" button. 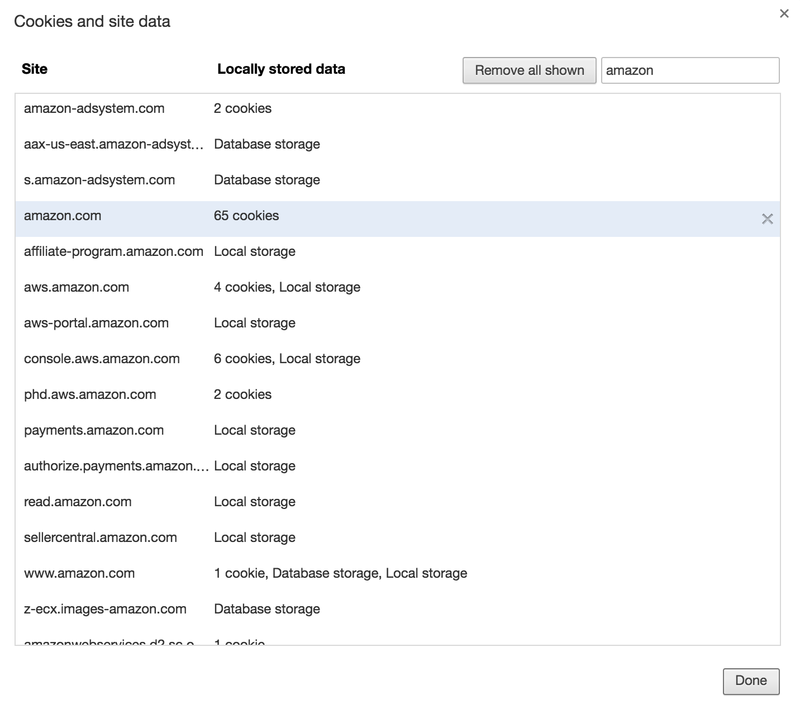 in the "Search cookies" box, type "amazon". Chances are, you'll see something like this. 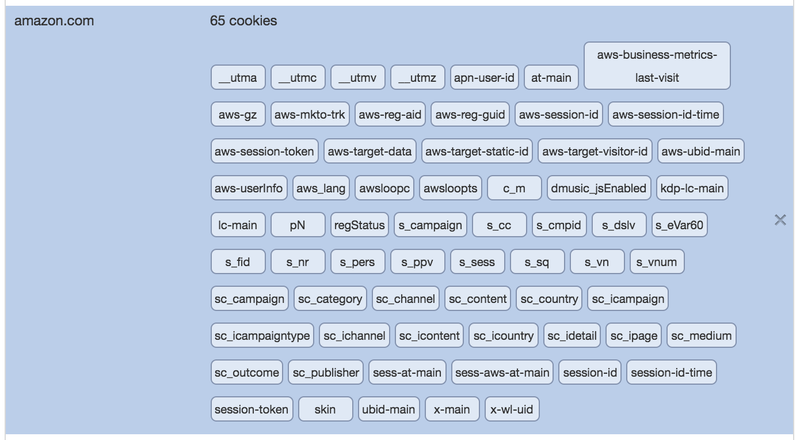 I've got 65 cookies for "amazon.com"! If you remove all the cookies and then go back to Amazon, you'll get 15 fresh cookies, most of them set to last for 20 years. Amazon knows who I am even if a delete all the cookies except "x-main". Now it's time to find a library search box. 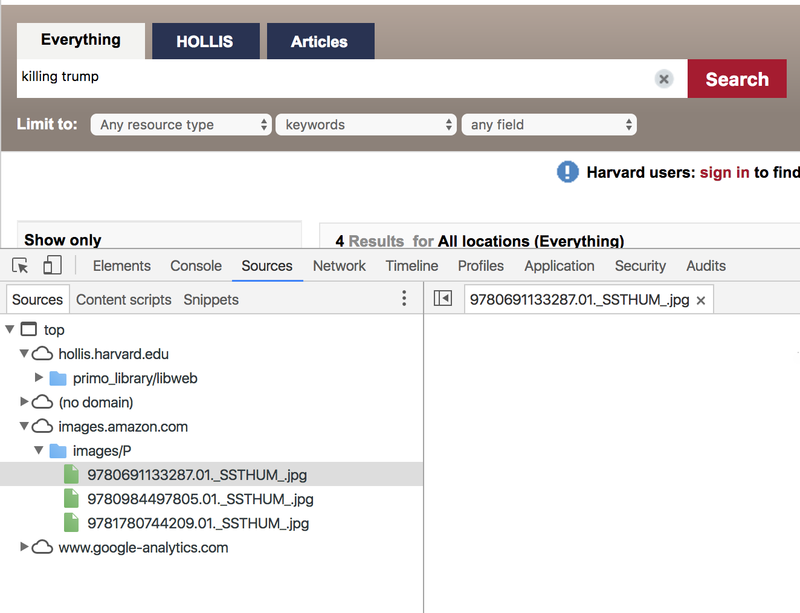 For demonstration purposes, I'll use Harvard's "Hollis" catalog. I would get similar results at 36 different ARL libraries, but Harvard has lots of books and returns plenty of results. In the past, I've used What to expect as my search string, but just to make a point, I'll use Killing Trump, a book that Bill O'Reilly hasn't written yet. Click on the "Sources" tab and to see the requests made of "images.amazon.com". Amazon has returned 1x1 clear pixels for three requested covers. The covers are requested by ISBN. But that's not all the information contained in the cover request. Now click on the request you're interested in. Look at the request headers. There are two of interest, the "Cookie" and the "Referer". Note that Amazon can tell who I am from the x-main cookie alone. In the privacy biz, this is known as "PII" or personally identifiable information. To put this plainly, my entire search session, including my search string killing trump is sent to Amazon, alongside my personal information, whether I like it or not. I don't know what Amazon does with this information. I assume if a government actor wants my search history, they will get it from Amazon without much fuss. [I wrote a rant; but I decided to save it for a future post if needed.] Anyone want a Cookie? 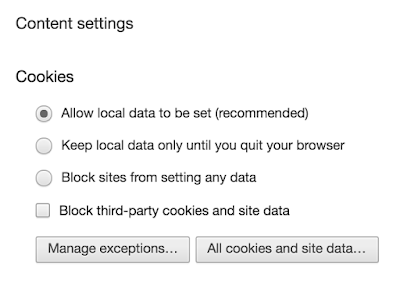 As Keith Jenkins noted, users can configure Chrome and Safari to block 3rd Party cookies. 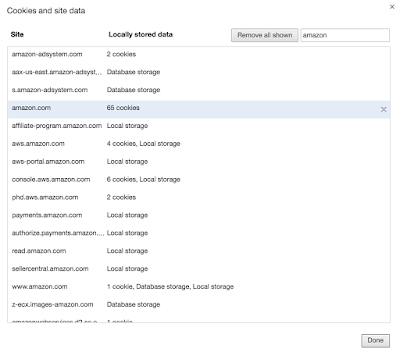 Firefox won't block Amazon cookies, however. And some libraries advise users to not to block 3rd party cookies because doing so can cause problems with proxy authentication. If Chrome's network panel tells you "Provisional headers are shown" this means it doesn't know what request headers were really sent because another plugin is modifying headers. 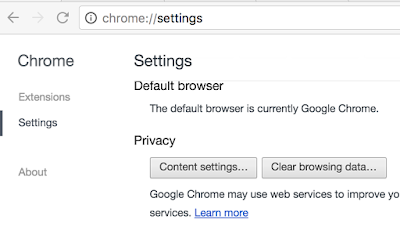 So if you have HTTPS Everywhere, Ghostery, Adblock, or Privacy Badger installed, you may not be able to use Chrome developer tools to see request headers. Thanks to Scott Carlson for the heads up. 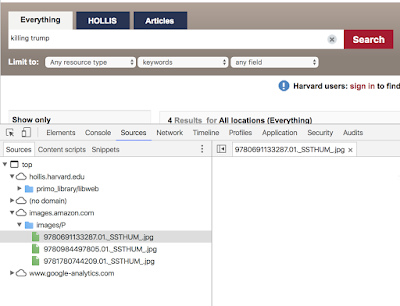 Cover images from Google leak similar data; as does use of Google Analytics. As do Facebook Like buttons. Et cetera. Thanks to Sarah Houghton for suggesting that I write this up. There's good news in the comments!